I was 11 years old when I made my first Thanksgiving Dinner. Strange for an 11 year old? Not for me. I have always loved to entertain, even as an eleven year old. So it is no shock that home decor and creating new recipes is on my list of hobbies. I am no stranger to Macy’s Department Store. Recently you may have noticed my posts surrounding Macy’s Culinary Council Cooking Demo Events in the New Orleans area. Every time I get a new email letting me know of an upcoming event, I am instantly on cloud 9! Emeril Lagasse is one of my favorite Culinary Council Chefs. Not only have I been watching Emeril on cooking programs for years, but I love that he is a major part of New Orleans. So it is no surprize that he has an amazing Sazerac Cocktail recipe. You can WOW your friends and family at your next hosted dinner or friendly get together by not just creating the cocktail in your own home, you need to recreate an experience. 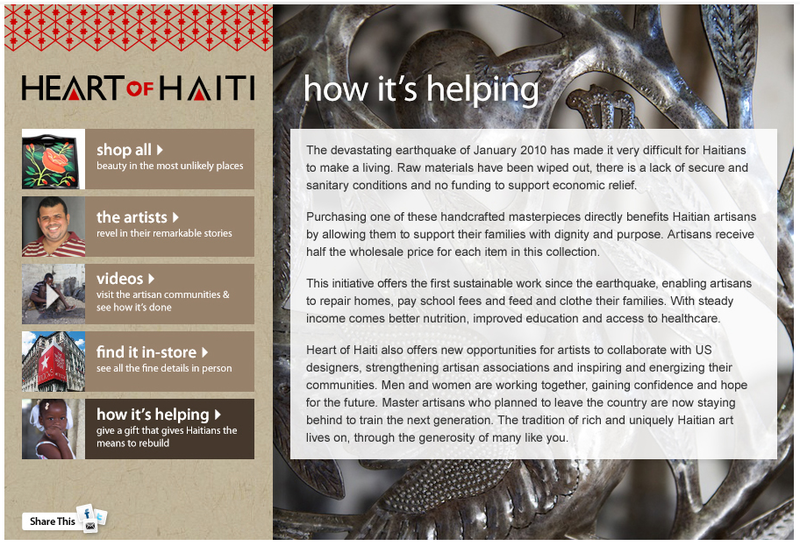 In addition to the Culinary Council, Macy’s also sells The Heart of Haiti Collection. The collection is a array of hand-made products made my local artisans in Haiti. Using mostly recycled materials, the collection of home decor items or jewelry items provide sustainable income for the individual craftsmen (and craftswomen) and thus changing their overall life in remarkable ways. Each item comes with an individual hangtag designed to connect cultures through business, art and understanding. 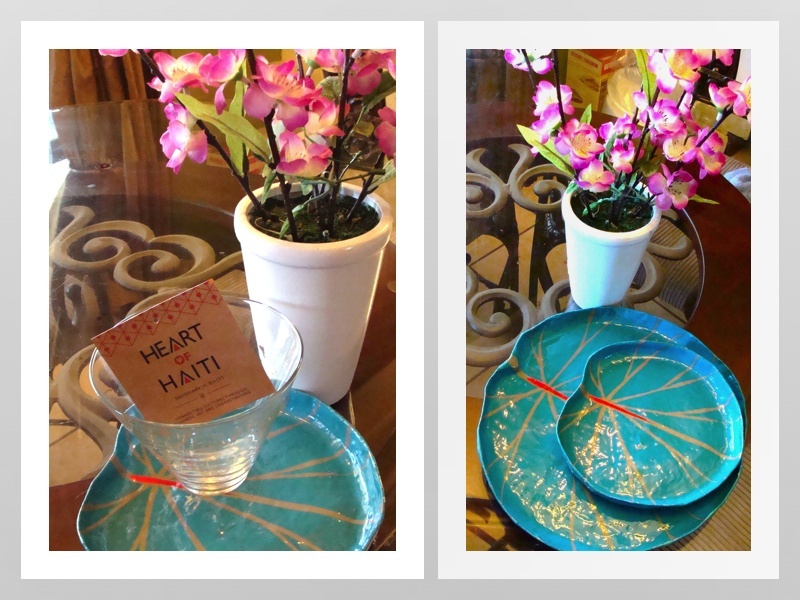 I was recently sent a Heart of Haiti Set of 2 Tea Leaf Nesting Trays. These delicate are made of eco-friendly paper. The trays have a raised edge that can help support and hold small items like perfume bottles, jewelry, or other small items such a keys and wallets. 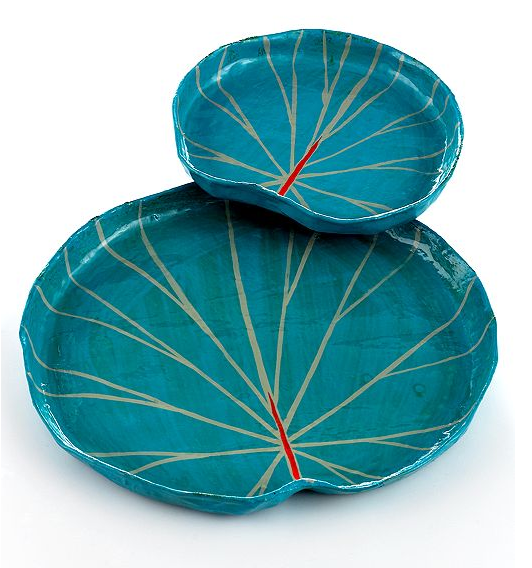 What I like about these trays is that they are made of recycled products and can be wiped down with just a small cloth. Easy clean up is always a big winner in my book! Now I can serve my Sazerac Cocktail by Macy’s Culinary Chef Emeril Lagasse in style. Where to find The Heart of Haiti Collection: Available exclusively at select Macy’s (25 stores including 5 flagships) and on Macys.com through a unique partnership with Fair Winds Trading & The Clinton Foundation, Heart of Haiti is was built upon the principle of trade instead of aid. The sales of these works put real, sustainable income into the hands of the artisans who create them, changing their lives in remarkable ways. Fill a small old-fashioned glass with cracked ice and set aside. In another small old-fashioned glass, put the lump of sugar and just enough water to moisten it. With a spoon, crush the sugar, then add the Peychaud’s bitters, Angostura bitters, whiskey and several ice cubes. Stir. Never use a shaker. Empty the first glass of ice, add the Herbsaint or Pernod, twirl the glass around, and shake the liqueur out. Strain the whiskey mixture into the glass, twist in the lemon peel, and serve immediately. Disclosure: I am a member of the Everywhere Society and Everywhere provided me with a Heart of Haiti Piece for my post. However, all thoughts and opinions expressed herein are my own. Those are so unique, I am in LOVE!!! Might have to get some! Plus I love their is a purpose behind it all! I think that it’s awesome that you cooked your first Thanksgiving at 11 years old!! I taught my kids to cook at a young age as well, they love being in the kitchen, creating their own dishes. I love the dishes with a purpose as well, thanks for sharing, I’ve never seen them before now. Ooo I adore those. I received a Heart of Haiti necklace last year and I get many compliments when I wear it. We work so close with Haiti, I wonder if my church knows about these too. I love that Macys do this work and get others involved in a big way! These are so pretty and I love that they are for a good cause too! I love those trays they are so cute. I love that set. The blue is gorgeous! Those are pretty and look like a work of art, what a great cause. They are beautiful and to help a great cause. Thank you for sharing. I’m a member of Be Everywhere and get to enjoy some cool events here in Atlanta. I was able to take a look a some of the collection this past weekend. Amazing items for a great cause. Did you seriously have to post about Sazerac’s? I’ve been itching to go back to NOLA and now you are definitely making me miss it more. Based on the photo I would have never thought those were made out of paper! I love that Macy’s is now carrying this collection. It’s so wonderful to be supporting a cause like this! Thank you so much for the post!!! It warms our hearts to see all the comments supporting Heart of Haiti too! We appreciate your commitment to helping spread the word.